The Water Jet Printer instead of ink relies on a specially designed paper impregnated with dyes. These dyes react to the water being jetted onto the paper and in turn produce colours. Instead of replacing ink cartridges all of the time it's simply a matter of refilling the cartridges with water. Has your Epson Printer stopped printing due to the Ink Waste Pad being full? This is a common problem and the only solution is to reset the Ink Waste Pad Counter. It's a messy job however it will save you at least $100 if you do it yourself. Having recently received a couple of calls from long term customers about print head failure on Canon Printers I noticed a common issue which was the cause of this.Having used Canon Inkjet printers in our office over the past 7 years and finding them rock solid and NEVER giving print head trouble I thought I'd share the secret to print head longevity. Inkjet Printers are such a handy item to have around the home or office, that is untill they start to play up. 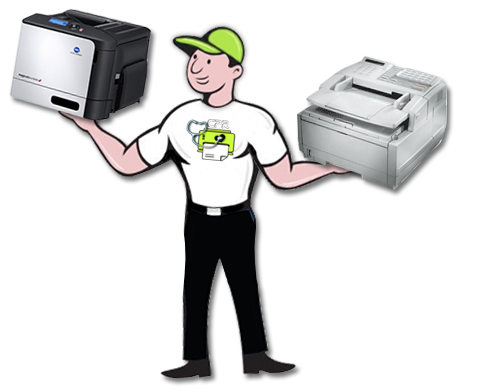 The following tips will help you to keep your inkjet printer in tip top shape ! Is your Canon printer giving you the dreaded "Wrong Cartridge" error message when you try to print? This is not an Ink Cartridge issue but is caused by the actual print head itself. It is a known problem with many of the older Canon printers such as the MP780 and the MP730 models. The dreaded B200 Error on your Canon Printer usually indicates that the print head has died! Before you go trashing the printer or buying a new one try some of the following suggestions. The Canon Pixma MP780 is now quite an old printer. Over the years the print head slowly accumulates dried ink internally which sometimes can lead to the "Wrong Cartridge" message appearing on the menu screen. Here's what you can do to get rid of the error message. Hey kids, if youre getting bored during the Christmas Holidays why not try doing the James Bond undercover agent thing and send "secret messages" to your friends. There's a few ways to do this but the quickest and easiest way is to use Lemon Juice. Grab a lemon out of the fruit bowl, squeeze it into a small bowl, grab a cotton bud or small paint brush and start writing. Once again the cost of Printer Ink has hit the newspapers. Genuine ink being quoted at $3000 per litre, cartridges being quoted in millilitres rather than page yield and on and on it goes. Theres so many opinions floating around out there and many of the people writing these articles only know a small part of the story ! To clean the Print Head on your Brother printer simply click on the image to the left and follow the procedure. If you have tried the cleaning process 4 to 5 times and the print quality still hasnt improved then you may have to look at replacing the ink cartridge or using a print head cleaning kit. Have you ever seen a 3D Printer in action? These things are amazing considering that you can buy them for under $1000. This makes the 3D printer affordable even for the average home user. Just think, no more racing down the shop to buy a replacement part for an appliance simply whack the broken piece in the printer and make another one. The obvious advantage of a compatible ink cartridge is the low price however there are more. One of the greatest advantages is that a pigment or dye based ink dries almost immediately. On the other hand a genuine oil based ink is quite slow drying. Are Ink Cartridgess soon to become a thing of the past? Technology is flying along in leaps and bounds and even back as far as 2007 the technology to print without ink or toner was around. This was achieved by impregnating paper with "dye crystals" which were activated to produce various colours by the application of heat. As long as the printer applied the heat in the correct manner via complex firmware the paper would produce life like pictures similar to those of the modern inkjet printer. So your Brother Laser Printer is giving you the "Low Toner" warning. Many people find this annoying and so they decide to replace the toner at this stage. So you remove the old toner and insert the new one only to find out after printing a few pages that the "Low Toner" warning re-appears! This is a common problem and is the same with most Brother Inkjet Printers also. What you need to do is to use the toner completely before you replace it. Ever wonder why your inkjet printer uses a lot of ink? The reason behind this is due to the design of the print head. The print head is the small electronic device which spits the ink onto the paper after it has gone out of the ink cartridgess. In other words the actual part of the printer which flies back and forth over the paper and applies the ink to the paper. Buying a Printer can be quite a frustrating task if you are not a PC Guru or have some idea of what you are buying. Many of the modern printers look so enticing with so many buttons, pretty lights and such Low price tags. Unfortunately the joy ends when the ink runs out and you discover that a new set of cartridges is more expensive that what the printer cost you. Looking for Brother Ink Cartridges for the new Brother mfc-j430 printer? Ink Hub has the Brother LC40 compatibles available for only $30.50 for the full set! These are the High Yield cartridges which print 2400 pages (black) and 1500 pages (colour). Ink Hub guarantees these cartridges to be the SAME print quality and yield as the genuine cartridges at a fraction of the cost. If youre not 100% happy with the results we'll refund your money in full including shipping costs. Epson Printers are renowned for clogging the printhead. This happens regardless of the type of ink cartridges used and can just as easily occur with genuine or compatible printer ink. The Epson printhead cannot be removed which makes cleaning an even more difficult task. Although it sounds odd "Windex" (window cleaner) can actually be used to break down the dried ink which remains inside of the printhead. Why does my Brother printer's LCD show "NO CARTRIDGE" even though I have already installed all the ink cartridges? Check that the ink cartridges are installed properly and reinstall the ink cartridges following the procedures in this article. Cleaning the Print Head on a Canon Printer is quite an easy task. Most of the Canon Printers have a 'removable Print Head' as seen in the video below. Simply remove your cartridges and then unclip the print head as shown in the video below. Next simply flush the print head out under your hot water tap.Don't pay too much attention to the guy in the video as its mainly there to demonstrate how the print head is removed. Hold the print head upright (same as it sits in the printer) and let the hot water pour into the head until you see the old ink flowing out the bottom of the print head. Keep the water flowing until the water coming out the bottom is completely clean.